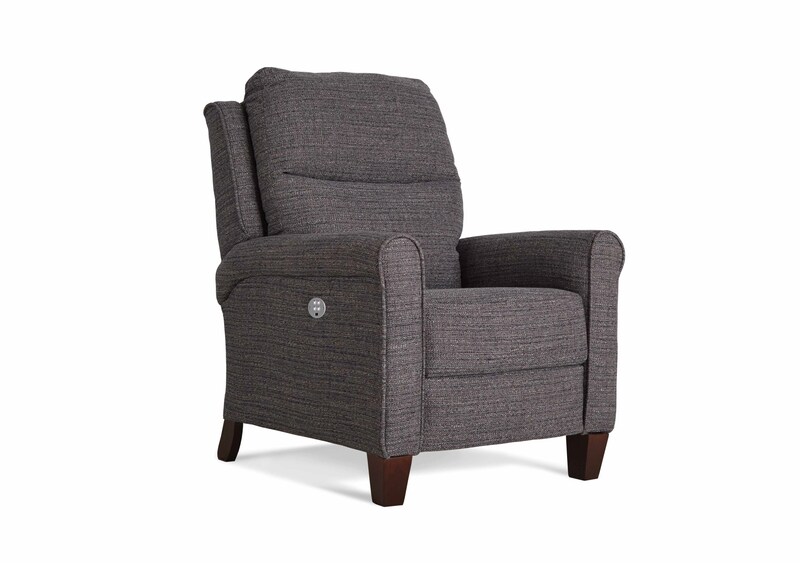 The Pep Talk recliner elevates any room with a classical look now offering exemplary comfort. Plump double bustle backs flanked by slightly arcing wings look perfect perched on top of it's upholstered doll head arms. Add the sophistication of show wood high legs and the ease of the available power recline option and you have a package impossible to beat. Don't forget all of the special order fabrics and leathers available!! This "special order" high leg recliner is available in multiple colors and fabric options. Pricing varies based on fabric group.